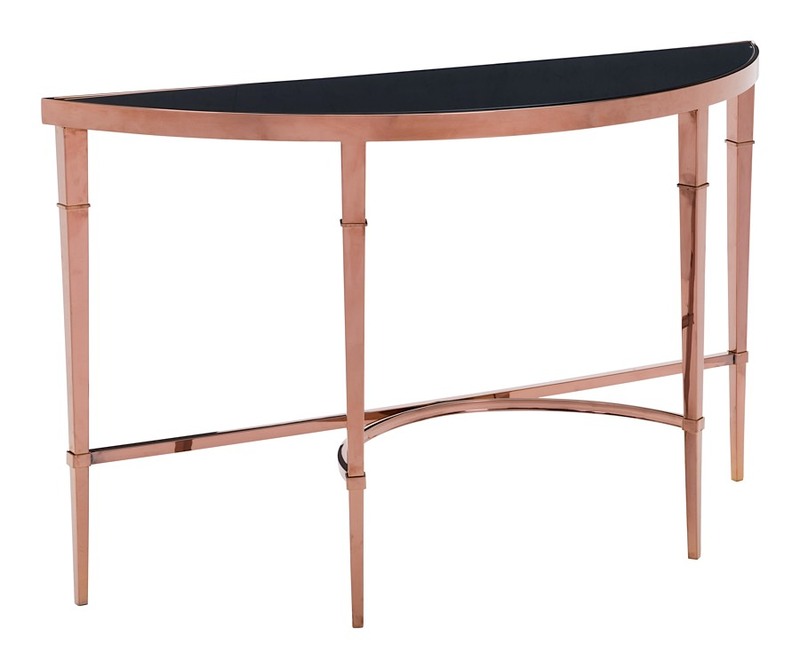 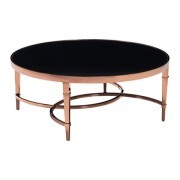 The Elite Console Table exudes a "regal French" motif and features a jaw-dropping Rose Gold finish. 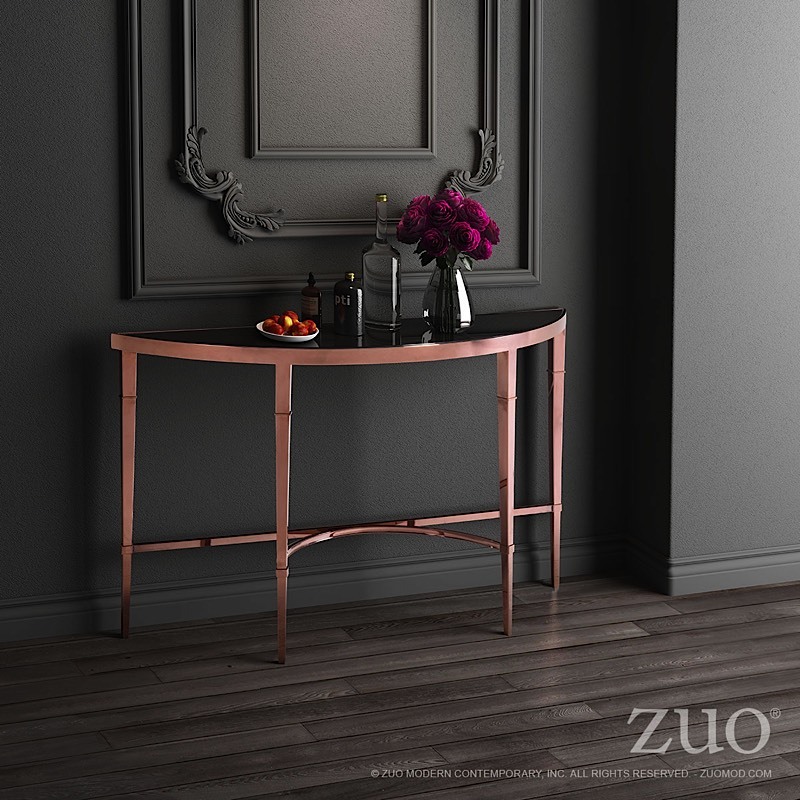 The elegant tapering legs support a black, tempered glass top. 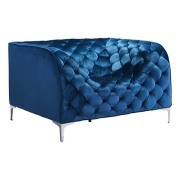 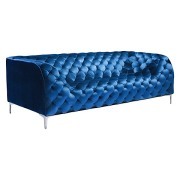 Perfect for any room in your home, office or commercial project. 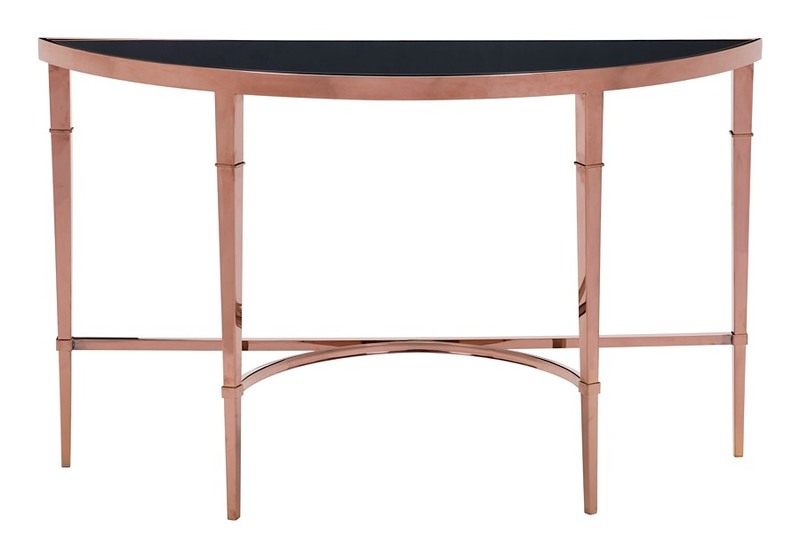 The cofee table coordinates nicely with the Elite Console Table and Elite Coffee Table. 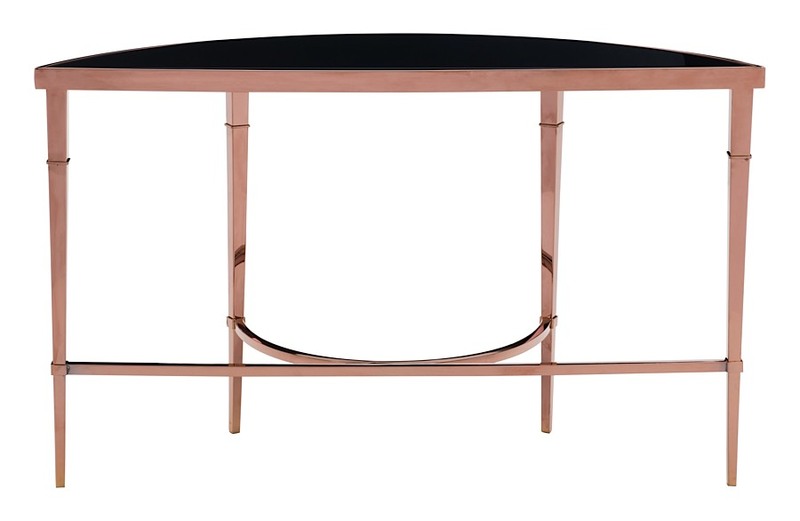 Weight capacity of the table is 100 pounds.